Discover our FW17 Upland hunt garments, expressly dedicated to the Upland walked up hare or wing hunt passionates and to the hidden Upland hunt lovers. These outfits are conceived both for active and static hunt and are characterized by high technical performance. They are cut on the hunters’ movements to guarantee maximum comfort and freedom. 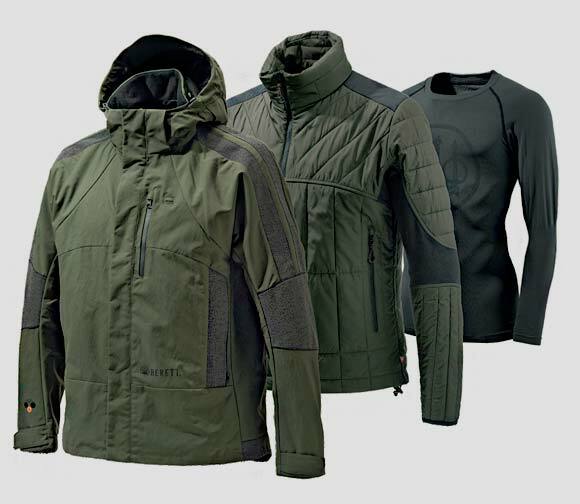 MEN'S HUNTING HEATDRY ACTIVE JACKET IN GORE-TEX® 2L FABRIC WITH 80 g THERMORE® THERMAL INSULATION. 3 LAYERS FOR STABLE PLEASANT CONDITIONS, WHATEVER THE WEATHER. ALL YOU NEED TO STAY DRY WARM AND PROTECTED.